This Aquanaut 1500 Drifter has a spacious owners aft cabin layout with ensuite shower and ensuite toilet facilities. In addition a double forward cabin again ensuite with toilet and shower. The large double glazed comfortable saloon area gives excellent views of your surroundings and has adjacent a galley, which has all you require. 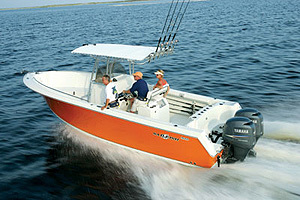 The helm and co-pilot positions has seats which will keep you comfortable in any conditions and are fully adjustable. With her excellent climate controls and, upgraded insulation this vessel is at home in both high and low temperature cruising grounds, keeping the crew comfortable in any conditions. 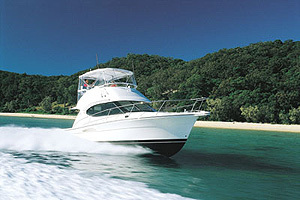 Anyone wishing to purchase a competent cruising vessel should not miss the opportunity this boat delivers. 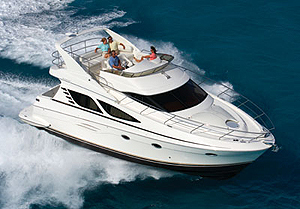 The very well equipped galley with large storage capacity is located forward of the saloon on a lower level. Counter tops are finished in attractive Corian with dish drain. Single stainless steel sink, pressurised hot and cold water with additional filtered cold water tap. Siemens 4 burner induction hob with Siemens extractor hood. Siemens HB880570 oven, grill and microwave. Front loaded Waeco 80 litre freezer. Powered by twin PerkinsM135 135hp diesel engines with 917 hours of use at time of listing. Both engines fitted with hydraulic pumps. Shaft drives to Exalto 4 bladed propellors with plastimo 40mm rope cutters. Bow and stern 160 Kgf hydraulic thrusters. 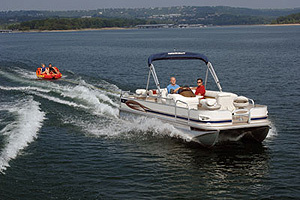 Serviced annually by Aquanaut until 2011 and then by owner until present. This Aquanaut 1500 Drifter was built in 2005 by Aquanaut Yachting Holland. Hull, deck and coach roof are constructed in steel. The interior is fitted out in cherry and carpeted in blue with the exception of the galley which has a teak and ash sole. Saloon windows double glazed with insulated frames and upgraded insulation package. Escape hatches fitted in galley and forward cabin. 230V battery charger 75amp management system. Fuel 4000 litre capacity in two steel tanks. Water 800 litre capacity in two stainless steel tanks. Holding 400 litre capacity in two stainless steel tanks. Calorifier supplying hot water either from engine or immerser. This Aquanaut 1500 Drifter sleeps four comfortably and has an owner's aft cabin with a V berth in the forward cabin. 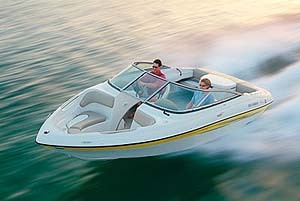 Clima reverse air conditioning system is fitted supplying hot or cold air to aft cabin and saloon. Also fitted is a Kabola boiler central heating system which supplies heating via radiators to all compartments and also an additional hot water supply. Storage cupboards all around the saloon area giving envious capacity. A folded desk section is fitted to the rear of the saloon when additional work surfaces are required or home office. All windows are double glazed with frames also insulated. Also fitted to the windows are heat reflective blinds and full wrap around lined curtains. Island bed with Dunlopillo matress and fitted with Bedflex battens. Two full hanging wardrobes with numerous lockers on both port and starboard sides. Shower compartment to port with heated towel rail. Toilet compartment to starboard with electric toilet, wash hand basin finished in Corian surfaces and heated towel rail. Cabin has a large V berth fitted with sandwich foam mattresses and Bedflex battens. Ensuite toilet, shower, wash hand basin finished in Corian surfaces and heated towel rail. Mosquito screens for all hatches and portholes.